Mellerware presents the gorgeous Prima hand mixer. The stunning Prima hand mixer boasts 5 speeds and a Turbo function with eject button. 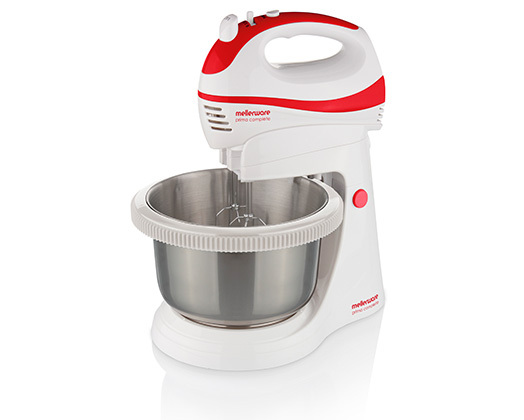 The Prima hand mixer has a 2.5l stainless steel bowl and and comes with 2 chromed beaters and hooks.